Picking out an appropriate Halloween costume becomes gradually more difficult the older you get. It might actually be easier to just be yourself. No, I don't mean to avoid making an effort entirely. Just take a look at PopMask, a company that will make a mask out of any face you take a picture of with your smartphone or any other camera. They will then mail the comical creation to you for just $20, shipping included. Each mask is designed to fit comfortably and comes with a jaw that moves as you do, but the latter part is optional. This bodes well for Batman, who obviously doesn't think a mask needs a bottom half. Granted, he probably designed his mask that way to cut costs (billionaires are big on that), and he might be delighted to know he could get a replacement for only $20 every time a hoodlum lands a punch. 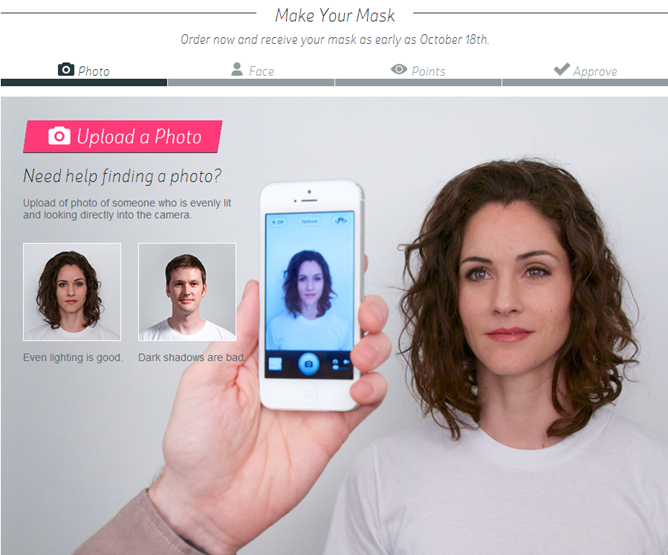 After you've snapped your photo and cropped the image, PopMask tasks over. These are the same guys that made PillowMob, so they have experience taking our faces and doing fun things with them. 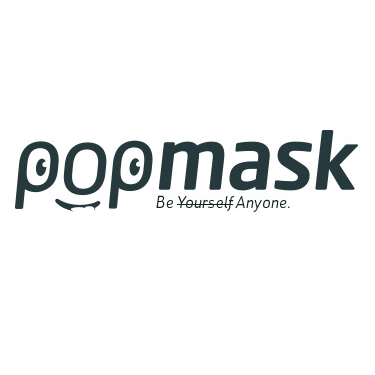 They will have your mask shipped and waiting at your door 8 - 14 days after you've completed your purchase. Unfortunately, that leaves many of you with just a week or two to decide before it's too late to get one in time for Halloween.